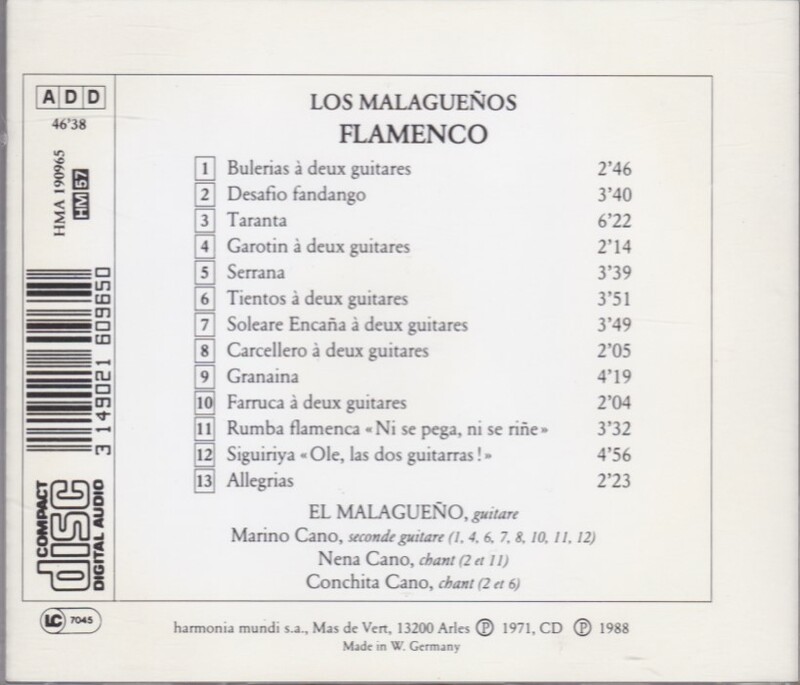 This is the companion CD of one I’ve reviewed a few months ago, Guitares gitanes (Gipsy Guitars) by El Malagueño (Antonio & Marino Cano, guitars, with Isabel, chant). Harmonia Mundi “plus” HMP 390925 (1994), reissue Harmonia Mundi “Musique d’abord” 195925 (2017). “Guitares gitanes” reissued one and a half LP, Harmonia Mundi LP HM or HMU 925, and 5 tracks (9 to 13) from LP HMU 935, “Los Hermanos Malagueños – Antonio et Marino Cano, Deux guitares flamenco” (see the review for links and cover photos). 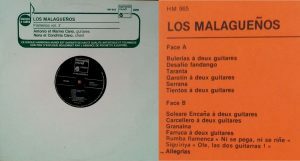 Although reissued to CD earlier, this one (HMA 190965) is the straight reissue of the last LP in that series, LP HMU 965, “Los Malagueños Chants et guitare/vol. 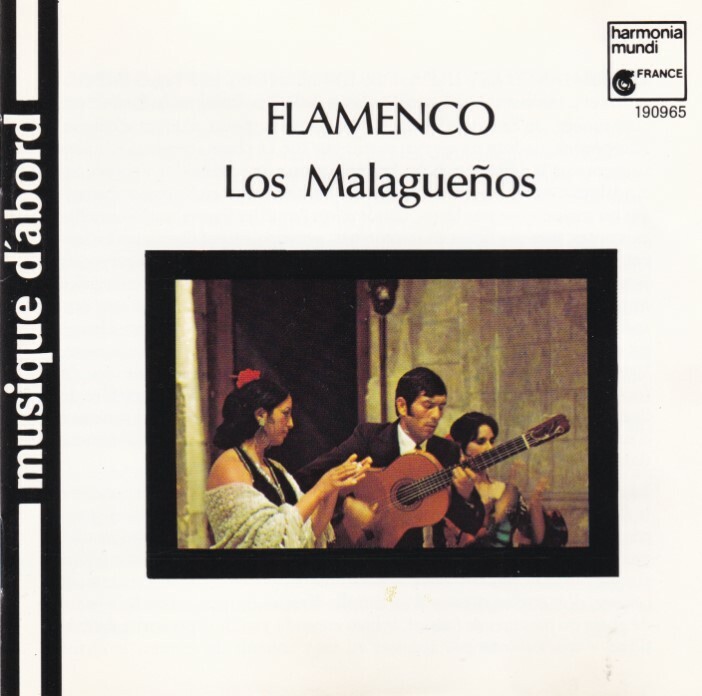 3” (which became “Flamenco Los Malagueños vol. 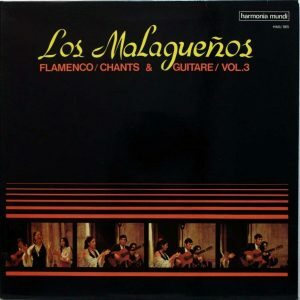 2” on subsequent LP budget reissues, with the reissues of HM 925 now titled “Flamenco Los Malagueños vol. 1” – link will open a new tab to entry on discogs.com). 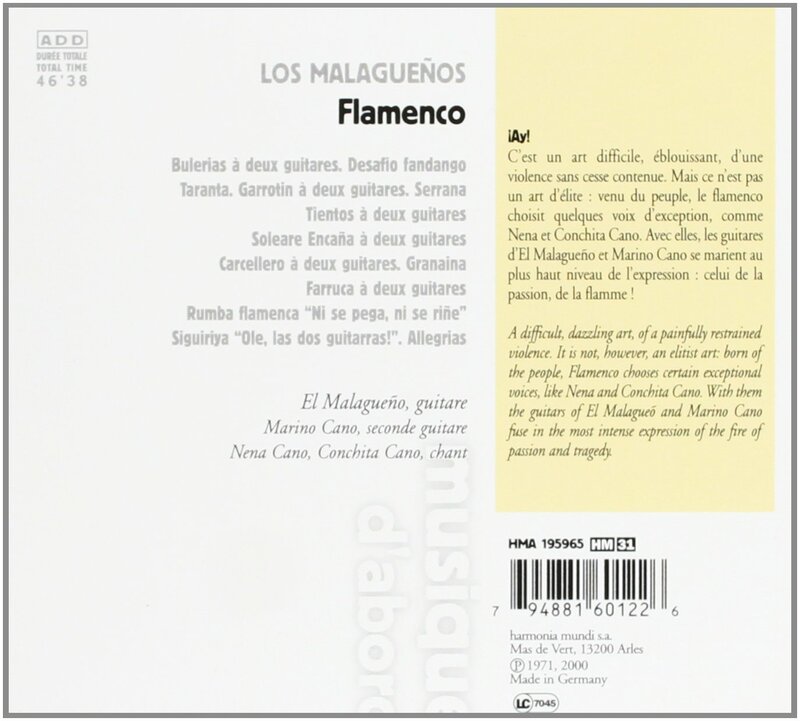 Other than that, I can only repeat what I said about the companion CD – and forgive me if I quote myself: “I’m no specialist of flamenco and thus not qualified to give an informed opinion on the flamenco ‘authenticity’ and value of the recital. True connoisseurs are very picky about those attributions and, for instance, staunchly deny to Manitas de Plata the honor of being an authentic ‘flamenco’ guitarist. So be it, and I accept that. The only thing I can say is that, authentic or not, I found it very enjoyable, everything the non-connoisseur expects from a flamenco (or simply ‘Spanish Guitar’) recital. While unmistakably ‘Spanish’, the compositions seem to me to eschew the usual formulas and display much imagination – they are more nostalgic and evocative than ‘Ole Ole’“. 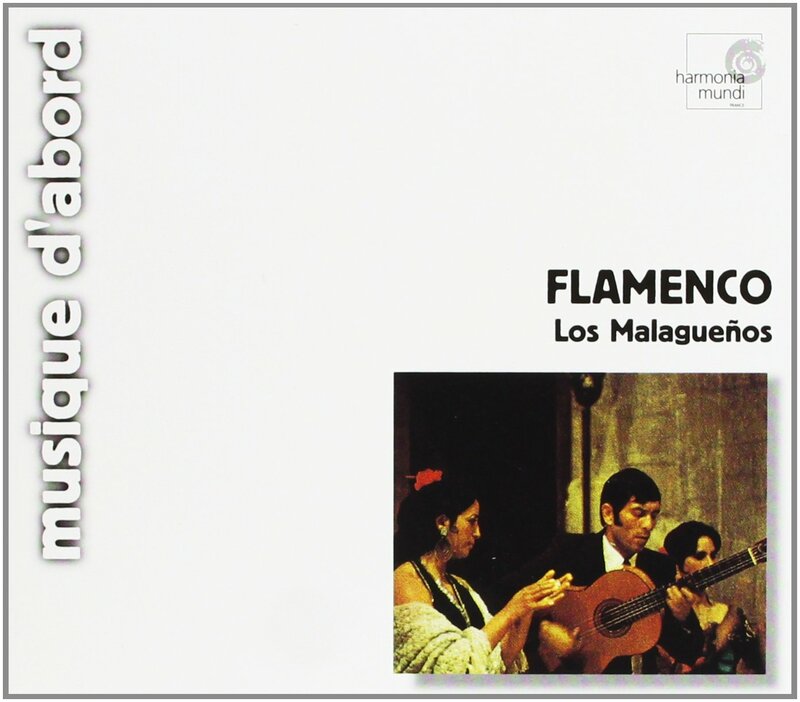 I’ll just add that “Flamenco Los Malagueños” here has its good share of the “boisterous, dancing” Spanish. Conchita Cano sounds juvenile. Unlike the companion recital, where it was very much a matter of guess when Antonio Cano played alone and when he was accompanied by other guitars (and how much), here it is very clear who plays what, not just because it is said explicitly in the track listing (see backcover photo), but also because stereo separation of both guitars is absolutely clear. With all that, I don’t know any more about Antonio Cano than I did when I wrote the previous review. Other than listings for these CDs and the source-LPs, Antonio Cano and his kins seem to have left no biographic trace whatsoever online. 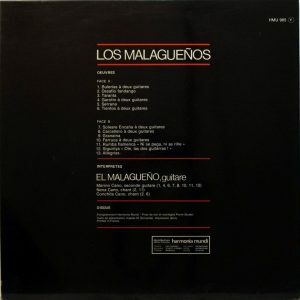 TT here is an LP-tailored 46:30 minutes – in this respect, “Guitares Gitanes” and its 73 minutes has the unquestionable advantage.